Confection: 15 single dose vials. A propolis dietary supplement specially formulated for adults. A superb immuno-stimulant that strengthens the organism's defence. Take regularly during winter and during changes of season. 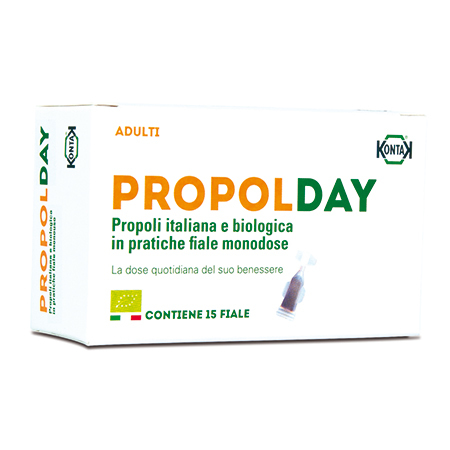 Ingredients: Organic Italian Propolis (30%), Organic Alcohol, Water. Gluten free. Directions for use: 1 vial per day in water, with honey, on a biscuit, on a slice of bread or simply on its own. 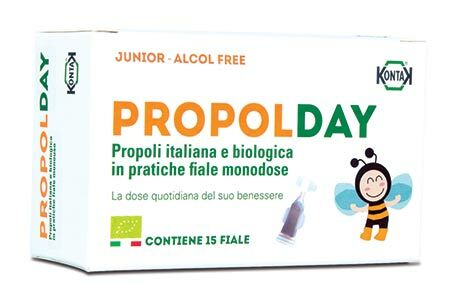 A propolis dietary supplement especially formulated for children. It naturally strengthens the immune system and is a natural adjuvant for cold related diseases . Ingredients: Organic Fructose syrup, Organic Italian Propolis (20%), Natural Flavourings. Gluten free.